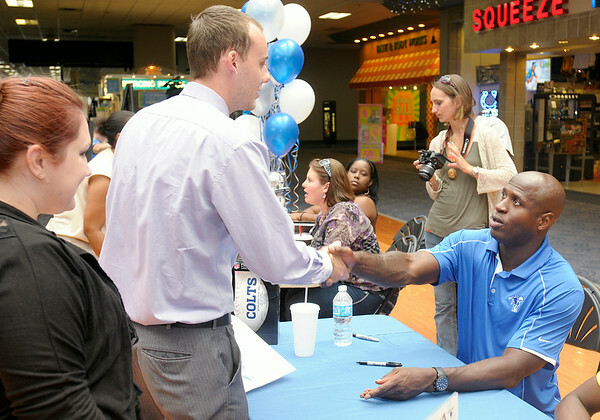 Former Colt Marlin Jackson meets fans and signs autographs at the Mounds Mall on Saturday. Jackson was in town to promote the silent auction of two Harley Davidson motorcycles that will be part of this year's Rockin' the Runway event at Hoosier Park. This year's event will benefit Jackson's Fight for Life Foundation.